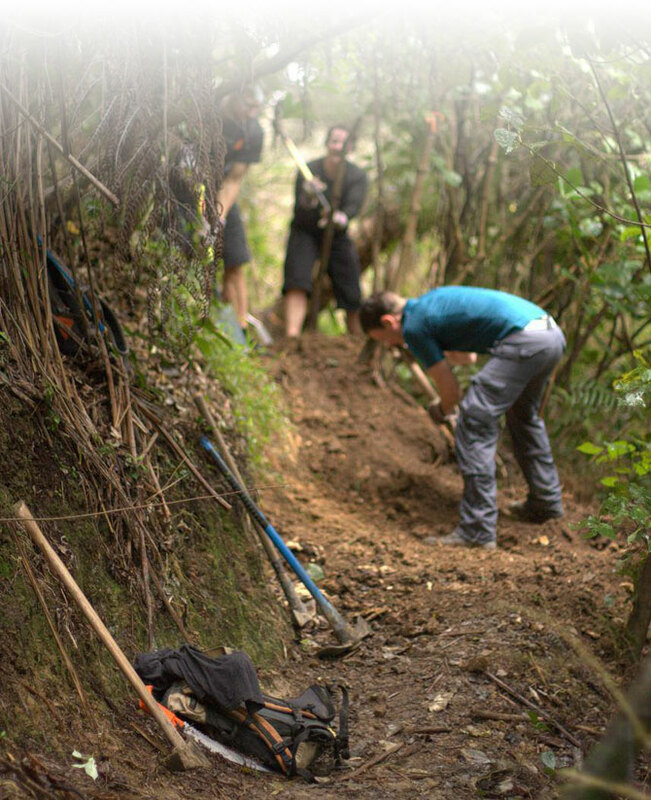 Trail building is a core part of the club's activities. It is also a really fun way to get to involved with the sport, meet club members and contribute back to the sport. Most club digs are advertised via Facebook. All of our major projects have their own facebook pages that the trail leaders use to promote their project. Typically, a trail leader will create a new Facebook event which will be open entry. 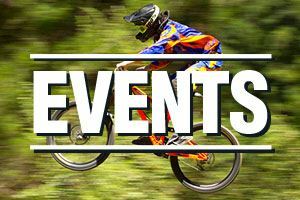 Simply join that event and you will be notified of any updates. The club will typically supply the tools, and sometimes a refreshment. Sturdy shoes (in winter, we strongly recommend gumboots). We advise against riding shoes, especially XC/race style clip shoes. You need to be wear something that you are confident you have plenty of grip on slippery slopes and offer protection from rocks and dirt you will be chipping away. Some of our projects have gloves you can use, but having your own is better. Cheap work gloves are ideal. There will always be at least 1 trail leader. Introduce yourself to them. They will have a health and safety sheet that they will run you through. You will need to provide an emergency contact and sign in on this sheet. 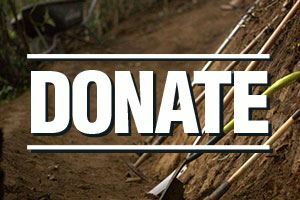 Starting a new trail building project is a large undertaking. 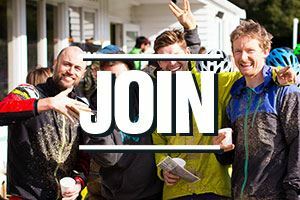 The club is always open to talking to anyone who is looking to start a new project, and we have a large number of experienced trail builders who can help you get your project started.